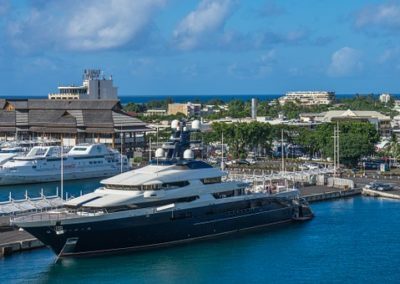 A yacht charter vacation in the South Pacific Islands – Tahiti, Tonga, Fiji, Cook Islands, New Caledonia, and Vanuatu – was once a treasure experienced by only a dedicated few. Now, with the increase in modern airlines, tourism infrastructure, and professional yacht charter operators, the South Pacific Islands can be easily cruised by all. A sailing yacht charter vacation in the islands of the South Pacific inspires visions of paradise – the warm azure waters, the white sandy beaches, the abundance of sea life in the aquamarine lagoons, swaying palm trees, crayfish and lobster fresh from the sea. This paradise can be experienced to its fullest from the water on a South Pacific Islands Yacht charter. The Pacific Islands and their people are unique in culture and tradition. The most obvious thing each island has in common is the islanders’ friendly and hospitable nature whereby visitors arriving on sailing charters, are treated as honored guests. The South Pacific is gaining increasing popularity as a top yacht charter destination and all the main types of yacht charter are available such as luxury motor yacht, sailing yacht, skippered vessel, crewed yacht, catamaran, power boat, sailboat, luxury yachts and even the ever increasing super yacht charter. Remember the South Pacific is of course below the equator so the seasons are reverse to the northern hemisphere. The main charter season is generally from about April to November but can also often run most of the year with hurricane season being well forecasted. 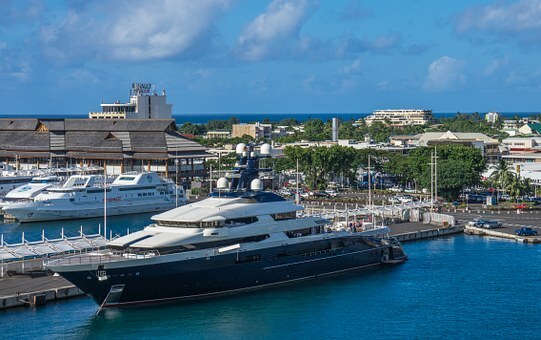 The South Pacific Islands is a vast area for yacht charter, with almost endless things to see and do. 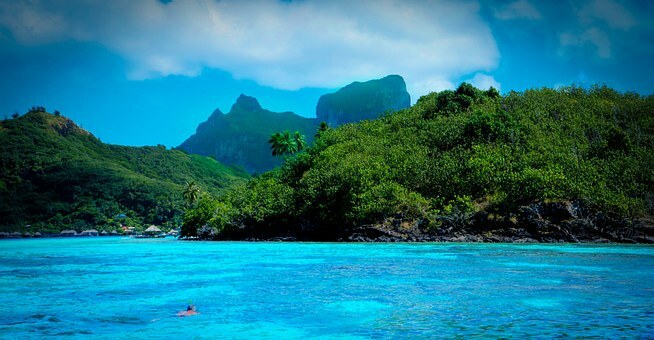 A yacht charter vacation in Tahiti, French Polynesia, is the best way to explore the ‘jewel of the South Pacific’. 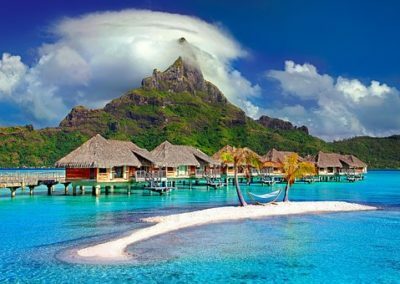 Tahiti is a French archipelago, which lies in the middle of the Pacific Ocean roughly between Australia and America, officially known as the Society Islands. 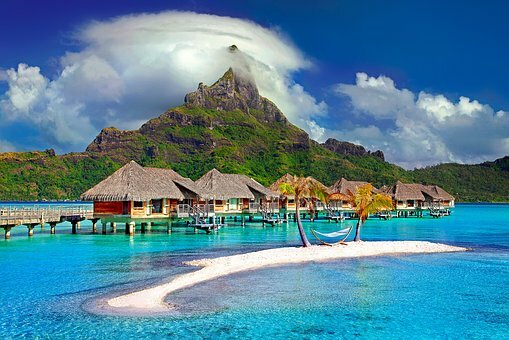 Tahiti is a unique combination of lush tropical atolls and volcanic peaks rising up from exquisite lagoons, coloured in every shade of blue inhabited by friendly, gracious and gentle locals. The main atolls or islands able to be visited on a Tahiti yacht charter include Raiatea, Tahaa, Bora Bora and Huahane. A Tonga Yacht Charter vacation will make you feel as though you’ve landed in paradise with the ocean coloured in every shade of blue and green, white sandy beaches, volcanoes, dramatic limestone cliffs and lush tropical rainforests to explore. When Captain Cook sailed upon the Ancient Kingdom of Tonga two hundred years ago, he named Tonga ‘the friendly islands’. Not much has changed since them with Tonga’s 71 gorgeous islands largely remaining untouched, with locals who are just as friendly as ever. The northern archipelago of Vava’u, with Neiafu at its heart, is becoming increasingly popular for luxury yacht charters because of its charm and beauty as well as her crystal clear water that is teaming with corals, tropical fish and dolphins. The humpback whales migrate to Vava’u each year, between June and August. Vava’u is one of the only places in the world, where you can still snorkel and dive with the whales. A Fiji Yacht Charter is perfect for a family vacation, an adventure for a group of friends, or as a romantic getaway. Many Fijian Islands are inaccessible to tourism because of their remoteness, which gives sailing yacht charters a real scope for adventure. 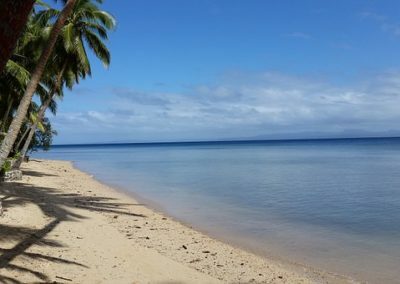 White sandy beaches, aquamarine water and swaying palms trees are just some of the many beautiful characteristics of Fiji that are waiting to be explored. The capital, Suva is on the island of Vita Levu. 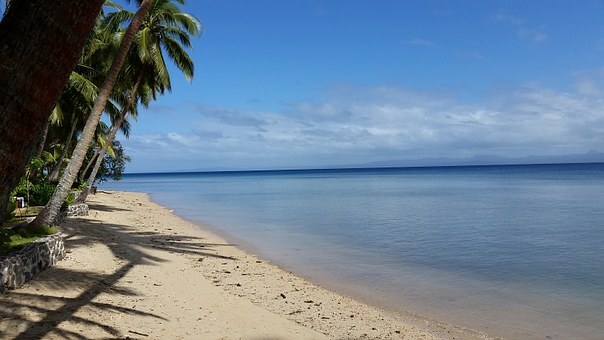 There are a couple of island groups within a few hours by sailboat from Vitu Levu. Musket Cove Resort, one of the only islands with marina facilities for yachts, has been awarded the “Best Resort in Fiji” – not a bad place to start your yacht charter. Sail up to the Yasawa Island group, famous for the filming of the ‘Blue Lagoon’, or head to Vanau Levu the northern island you will discover a marine spectacle where you’ll find some of the best diving in the world. The Cook Islands are an amazing yacht charter destination in the South Pacific Ocean. The exotic yacht charter destination consists of 15 main islands covering a total area of 2.2 million square kilometers. Endless charter possibilities await in the untouched paradise, that has one of the most pristine coastlines with virgin beaches covered in soft white sand. 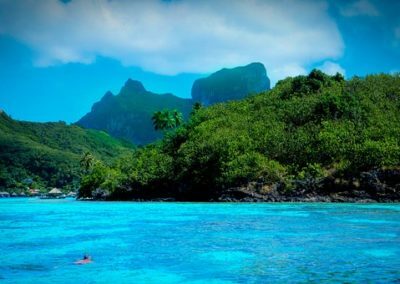 The Cook Islands are divided into the Northern Islands and the Southern Islands and the largest island, Rarotonga has an international airport where you will most probably fly to meet your yacht charter. There are a lot of activities to do on the island since there are beautiful beach resorts, shopping centres and many restaurants that serve the best of local cuisine. If you are looking for corals then you can go to Aituki. This pristine island is the most sought after yacht destination in the Cook Islands. Aituki consists of a perched coral lagoon, one of the largest in the world. New Caledonia is an island paradise perfect for a yacht charter holiday. Located in the heart of the South Pacific, New Caledonia is located in southern Melanesia, about 1500 km from Australia, 1 700 km from New Zealand, 5 000 km from Tahiti. New Caledonia is surrounded by an emerald lagoon, and the second largest coral barrier reef in the world. The islands around New Caledonia are made up of the Loyalty Islands, Isle de Pines and the tiny Belep Islands. The clarity of the water is astonishing. From the deck of your New Calendonia Yacht Charter yacht, you can see multi-coloured fish, corals or the sandy seabed below. Some fo her natural bueaties include aquamarine lagoons, deserted pristine white beaches, sheer cliffs and awesome volcanic rocks, rising from nowhere. One of the greatest highlights though, is her people who have retained a powerful traditions and authenticity. The Caledonian lagoons are a deep sea divers and anglers paradise. A Vanuatu Yacht Charter will enable you to experience one of the most ancient living cultures on the planet. Melanesians inhabit these islands, which lie between Fiji and New Caledonia, stretching for over 900km. The majority of the outer islands of Vanuatu remain simplistic with fantastic examples of traditional culture and primitive standards. The only way to reach all the islands of Vanuatu is by boat, and best way to reach all the islands of Vanuatu is on your own charter yacht giving you the opportunity to explore the outer islands and become part of an intriguing and ancient culture. The capital, Port Vila is on the island of Efate. It has been designed with the tourist market in mind, and has a delightful combination of modernization and multiculturalism.